Includes full Upper and Lower case A-Z and 0-9! 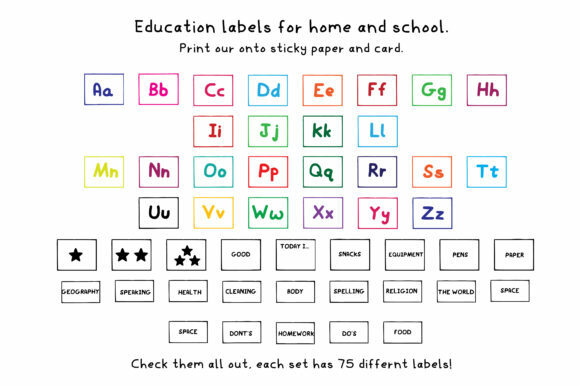 If you love to organise, pick, sort, colour code, namely anything then these 8 sticker and label packs will make you giddy with choice. 70 pre-made labels in PNG format is ready to be printed and used. There are so many to choose from you won’t know what to print and label first!